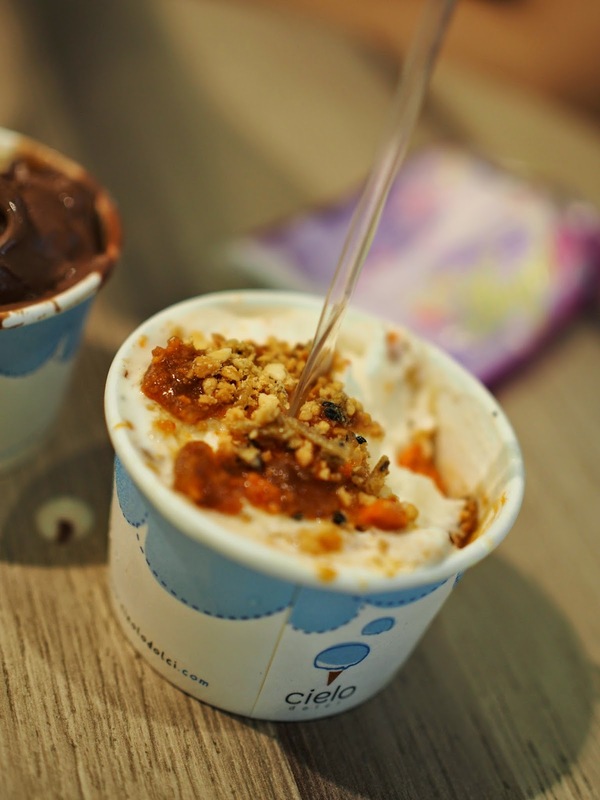 Gelato, the Italian ice cream claimed to contain 70% less fat compared to normal ice cream. 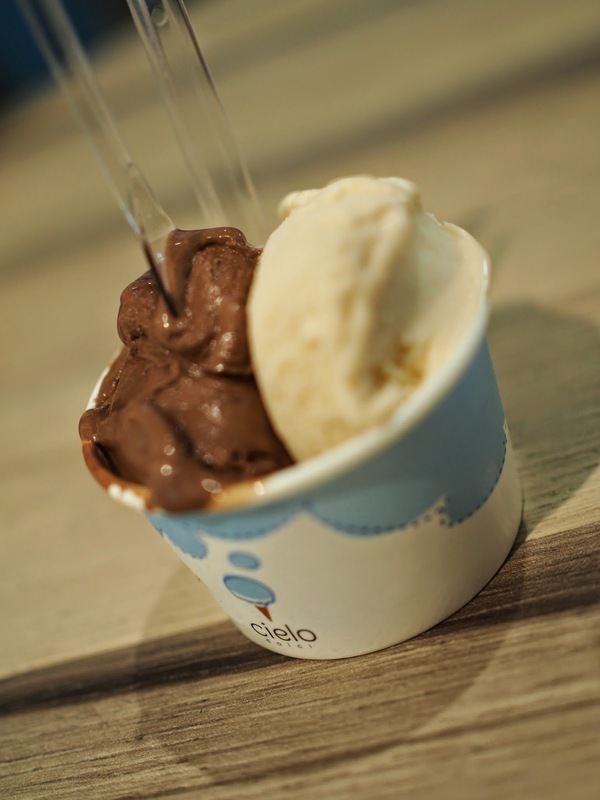 Of course, Gelato shops are dime a dozen nowadays. However, what if I were to tell you that there is a shop that sells Durian gelato? Well, fancy but not really special. After all, durians had been made into various desserts. 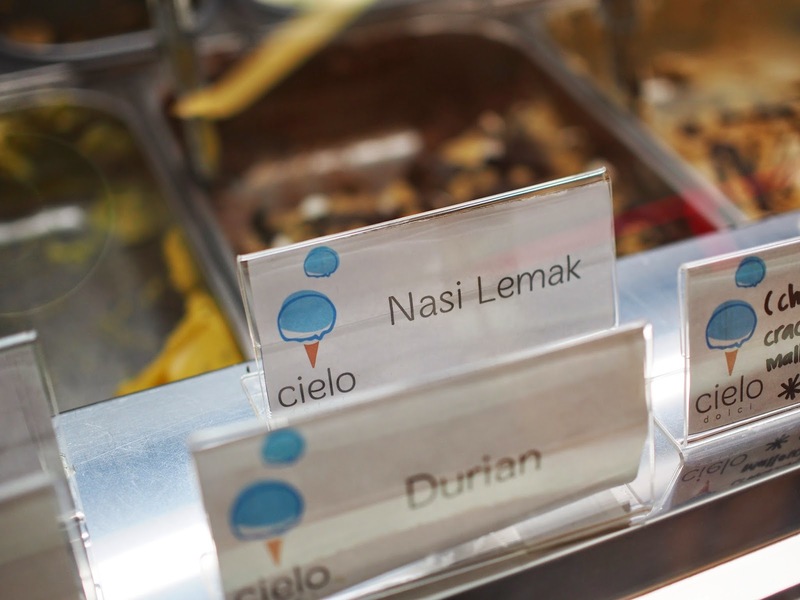 Ok, how about Nasi Lemak flavoured gelato? 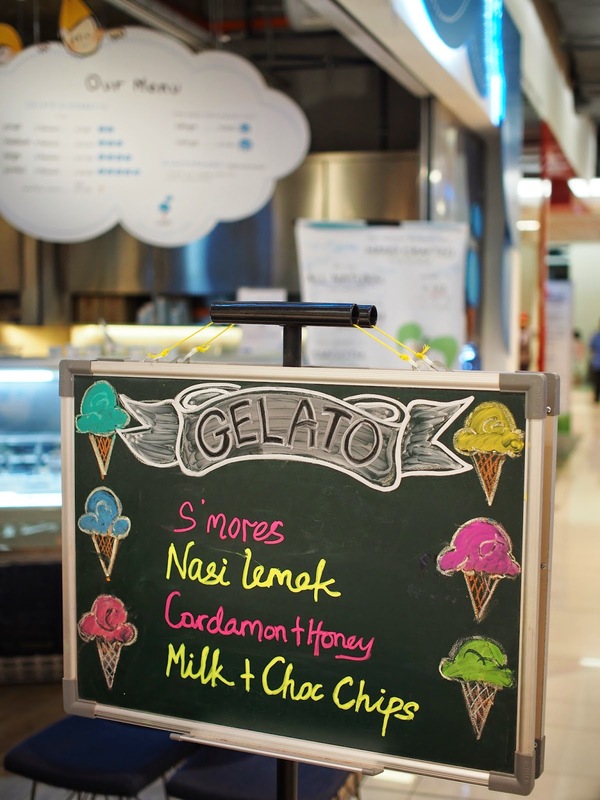 No, I am not joking, NASI LEMAK gelato. 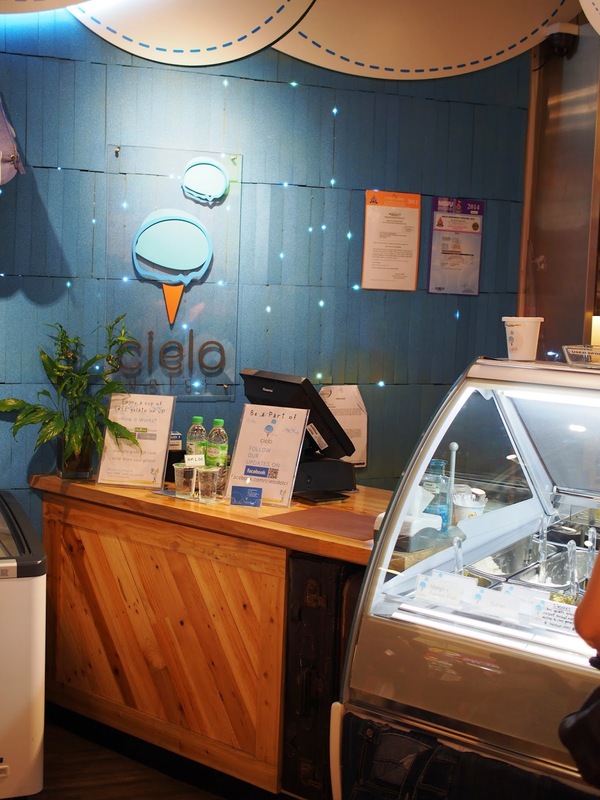 Got your attention, haven't I. Tucked away in the corner at Basement 2 of Paradigm Mall, Cielo Dolce serves gelato that are 100% home made. 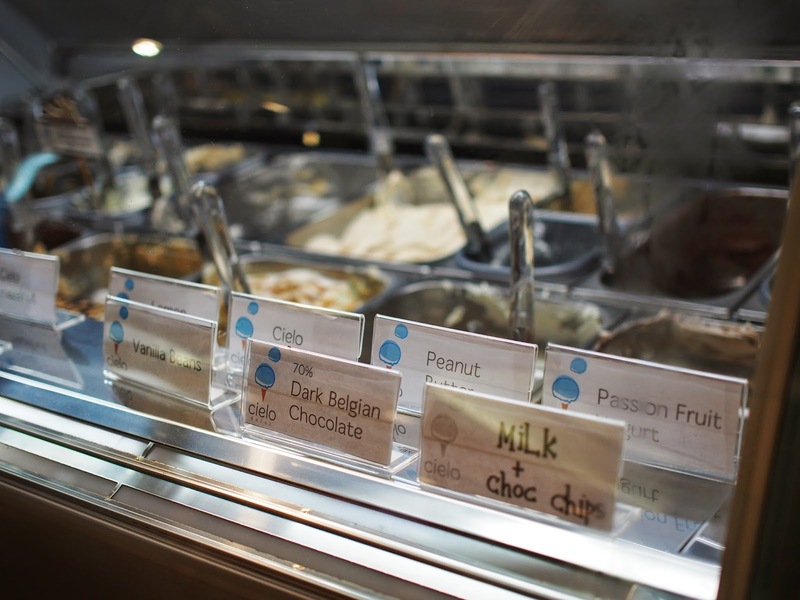 The owners are always experimenting on different and sometimes unique flavours all the time. Prior to Nasi Lemak, they had served up flavours like Nangka and Cili Padi. However, I think this is the first time they have come up with a savoury flavour. So how does it taste. Well, it taste like nasi lemak, coconuty, fragrant and spicey. Seriously. 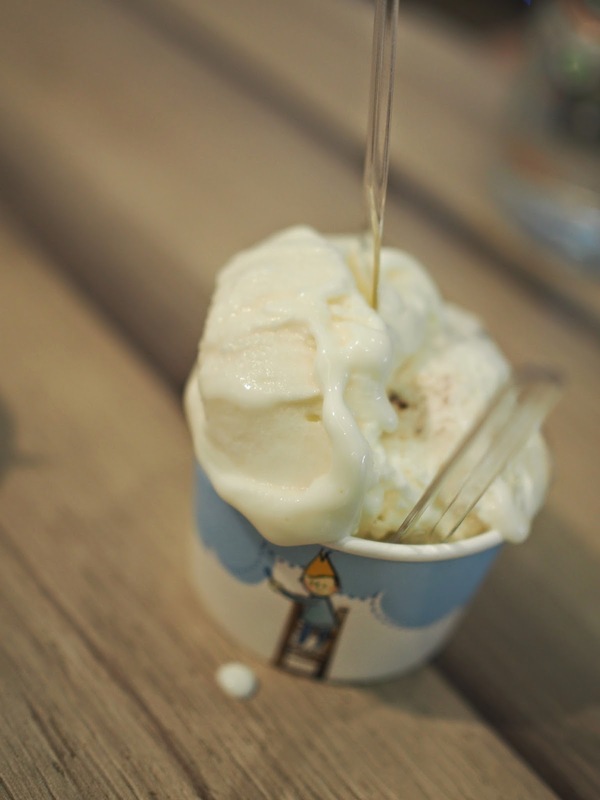 My speculation is that the gelato itself is made using coconut milk and some pandan flavouring. To make it even more like nasi lemak, there are, I think, frozen bits of otak-otak in it. On to of that, they even sprinkler some nuts and ikan bilis after putting on some toppings of sambal. The owners, in my opinion, deserves a medal for creativity. I can't wait to come back here to see what surprises they have in store next time. 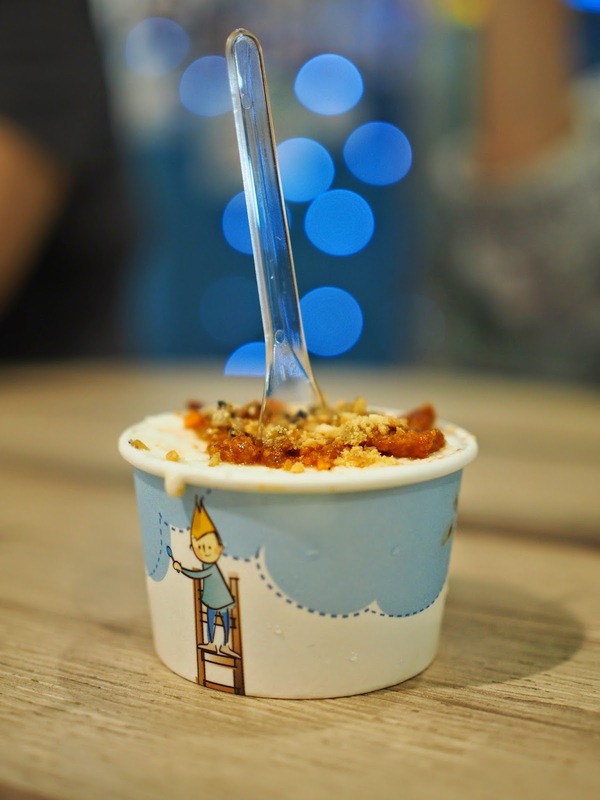 Prawn Mee gelato? Prices here are not exactly cheap. 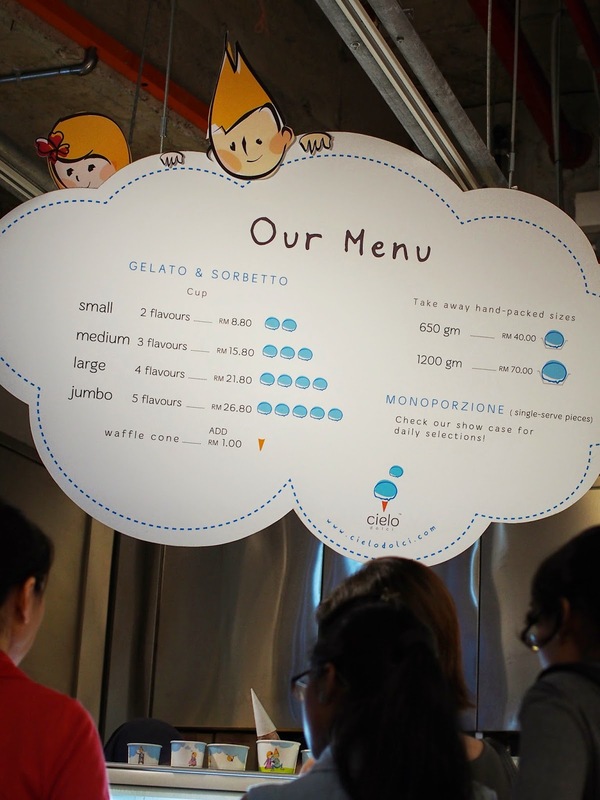 For a small cup, whereby you are allowed to choose 2 flavours, will set you back RM8.80. However, what you are paying for is freshly home made gelato (not those mass produced in factories) not to mention the novelty of eating some rather strangely (in a good way) dessert.